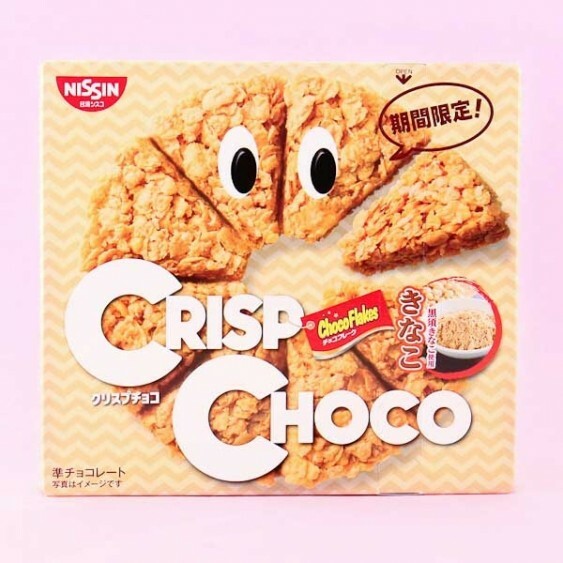 Super tasty corn flake snack by Nissin! This Crisp Roasted Soybean clour Choco yummy is sliced into 8 slices which are perfectly sized to eat and easy to share with your friends! 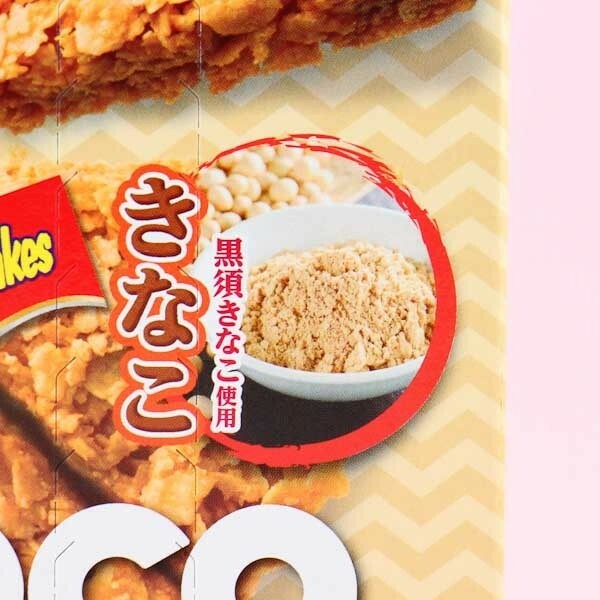 This snack is a round-shaped corn flake snack flavored with roasted soybean flour and white chocolate! It tastes like sweet cornflakes! So sweet and tasty!